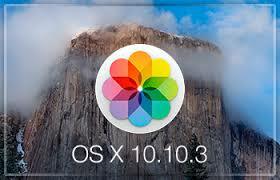 Last week Apple released a new update to their current ‘Yosemite’ operating system – it’s rather catchily named ‘ten point ten point 3’ or 10.10.3. For those of you who aren’t clear what an operating system does, it’s the software that runs your computer, and every so often the manufacturers send out updates to improve (hopefully) the way you can use your device. Apart from a few ‘back office’ updates that help with stability and security on your computer, this operating system (OS) update is mostly focused on the Photos application, which in theory replaces iPhoto as the best way for Mac users to organise, edit and share their photos – more on that in a minute. 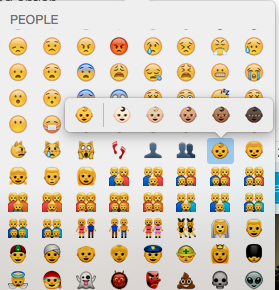 There has also been a lot in the tech press about the addition of around 300 new ’emoji’ characters which allow you to choose a skin tone for the various smiley face-type icons. To access the emoji, just press the combination of cmd+ctrl+space in any text entry field (i.e. a document or a text, or indeed a blog post). Find the emoji you want to use and click on it to show the variants. Sadly though, as one reader pointed out, there is still no red-head option. As I mentioned, the major part of this update is the release of Photos. At first glance it won’t look that different from iPhoto, but there are some clever new ways in which Photos now works to synchronise your images across all your devices. 1. 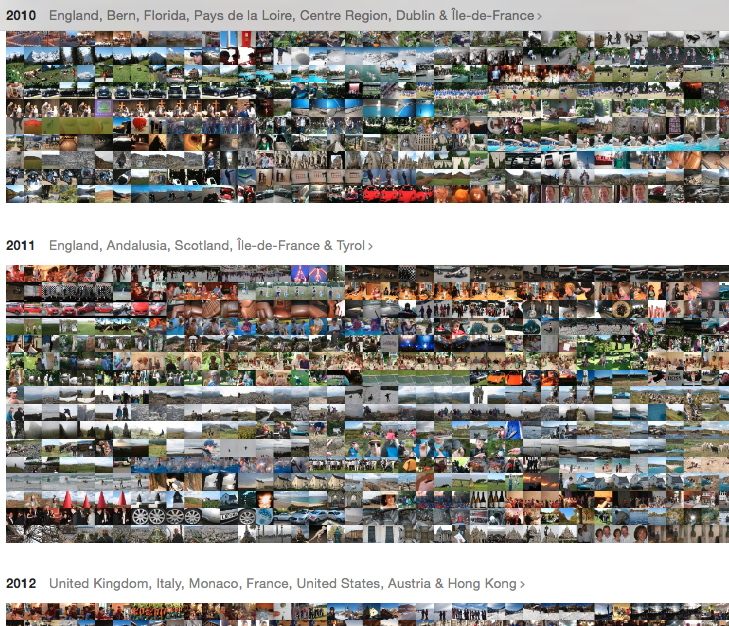 Organisation – the new Photos app works in a way that you might be familiar with if you have photos on your iPhone or iPad – the pictures are organised according to the time and location they were taken, to create ‘Moments’. 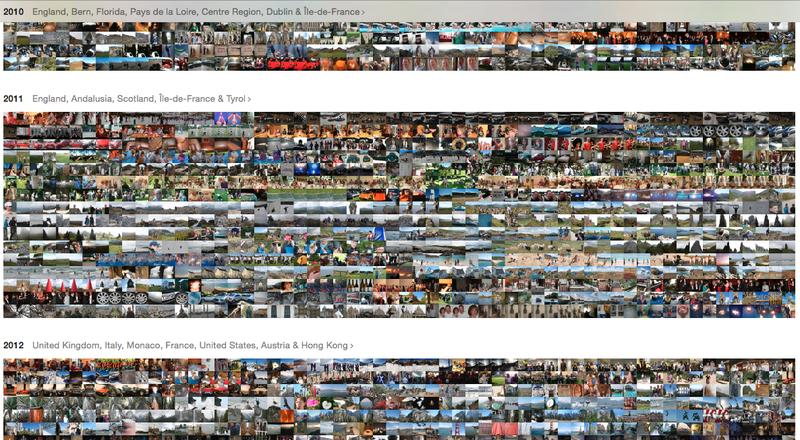 By zooming in or out with one click, you can have a yearly overview of all your photos (as above). You can also view your photos according to the type of image – panorama, photo bursts or even movies – and as before, you can create your own albums easily. 2. Editing – according to Apple, the new app allows more detailed editing than iPhoto did; for most of us, the ‘enhance’ button will be enough to automatically adjust exposure problems and make the colours look better, but if you want to make more specific adjustments you can use the simple sliders for colour, light and black and white, as well as fun filters, cropping, red-eye removal and other retouch options. 4. 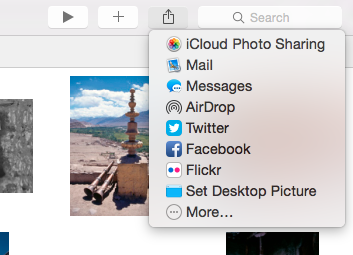 …iCloud Photo Library – this is a new feature from Apple that brilliantly syncs all your pictures across all your iThings. Once you switch on iCloud Photo Library (in Settings), your photos will be uploaded to your iCloud account, and any photo taken on any device will be automatically saved to the library and available to view on all your other Apple devices. 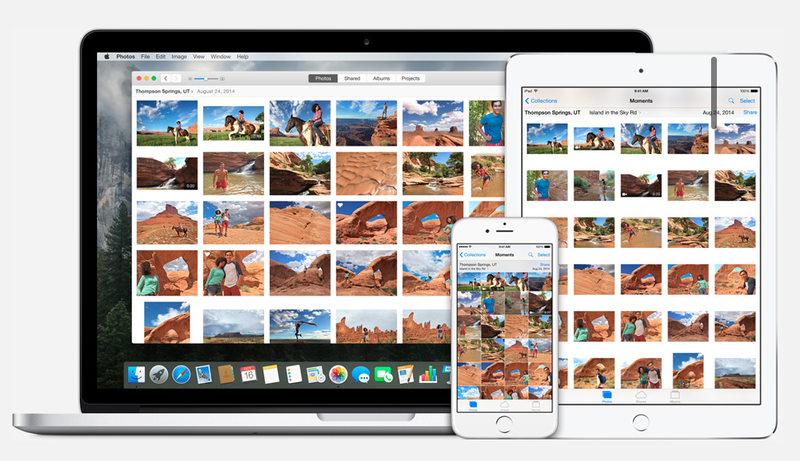 The biggest advantage of this new way of storing photos is that you don’t have to take up precious storage space on your computer, phone or iPad; iCloud Photo Library automatically stores the original, high resolution images in the cloud, and you can access the pictures on your phone or iPad wherever you are. The downside (inevitably) is that you need to pay for the storage space if your photo library is bigger than the 5GB you get free (I’ve got about 13,000 photos which is around 40MB). You don’t have to switch on this feature – you can store the photos on your computer as before, but of course there is a trade off in terms of being able to access them anywhere.